An advertising network is a company that provides a way to media buyers to coordinate ad campaigns to thousands of websites in an efficient manner. The function of an advertising network is to provide an ad space from publishers and match it with advertiser’s demand. With the use of advertising networks many online advertisements are placed on websites. 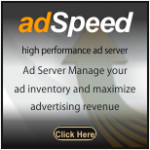 A central ad server is used that promotes publishers advertisement and allows advertisers to track their ad’s data and analyze the results and see if there are any changes to be made. The advertiser has a choice of buying a single ad space or a category of ad spaces for advertisements on the website. If an advertiser is ready to display the ads and promote them, a central ad server is used that responds to a website when a click is made on the ad. The owner of the website places the ad by pasting a code on the space of the website that is sent by an ad server and once the web page loads the code automatically appears as an advertisement. Some advertising networks are Cost per impression (CPM). Payment is made when an ad is shown. Cost per click (CPC) is based on the number of clicks. Payment is made when someone clicks on the ad. Cost per action (CPA), payment must be done when a visitor does something for example, filling a form, buying a product. Vertical network: Vertical network is used for highest quality traffic and generally brand name marketers and companies use this kind of network to advertise. The cheapest network is the blind network where advertisers have less control where the ads are being published and promoted. The targeted network: It is an efficient network that uses an ad server to ensure that their ads are being targeted to the advertiser’s individual target market. The advertising networks are also sorted in groups as first tier networks which are major search engines like Google and second tier for small advertising networks. The revenue earned by first tier network is more than second tier network.